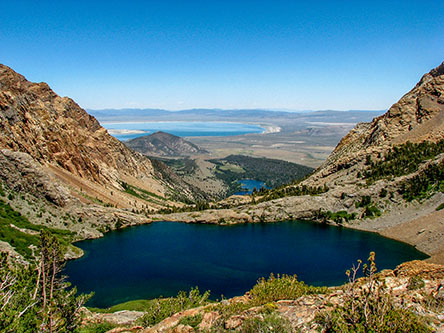 The Sierra Nevada and Owens Valley are full of fascinating names garnished over the centuries from Native Americans, trappers, explorers, surveyors, geologists, packers, fisherman, frontiersman, and settlers. These pages represent but a few of those names and their origin. These are some of my favorite gathered from my packing days with Mt. Whitney Pack Trains. 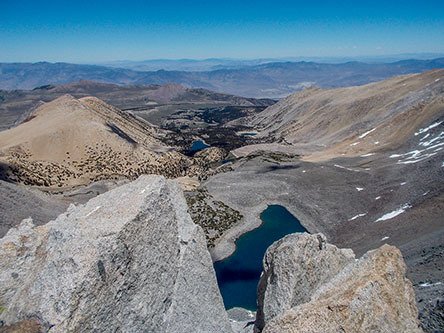 These are names which, for me personally, evoke wonderful Sierra and Owens Valley memories - packers, camp fires, Sierra Club girls, nick names such as Veggie, Manure Man, and Peek-a-Boo, mules with personality, biting horses, Trail Riders of the Wilderness, countless trips to the summit of Mt. 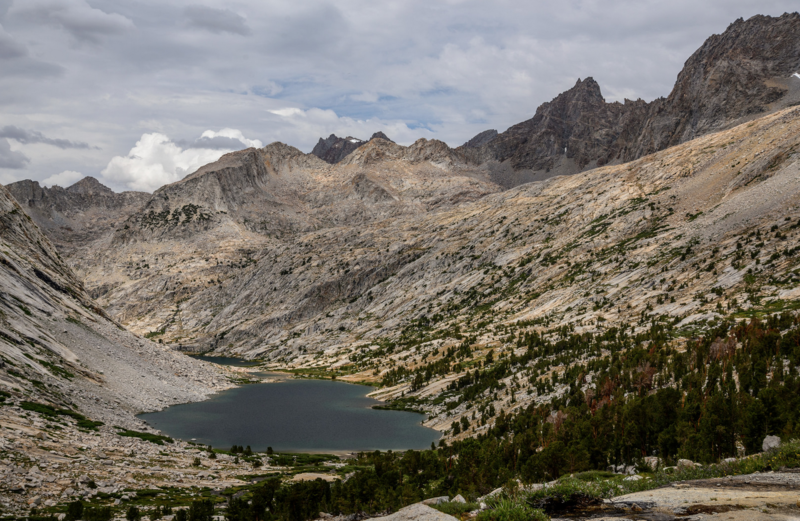 Whitney, pack train wrecks, bronc shoeing in the backcountry, rain at night in the Sierra, frozen tie lines, loves lost and loves gained, and a host of majestic wilderness scenes painted for all of us by the One Who seeks but to have our hearts focused on Him. "After crossing Mono Pass, the trail leads down Bloody Canyon - a terrible trail. You would all pronounce it utterly inaccessible to horses, yet pack trains come down, but the bones of several horses or mules and the stench of another told that all had not passed safely.... It was a bold man who first took a horse up there. The horses were so cut by sharp rocks that they named it 'Bloody Canyon,' and it has held the name - and it is appropriate - part of the way the rocks in the trail are literally sprinkled with blood from the animals." 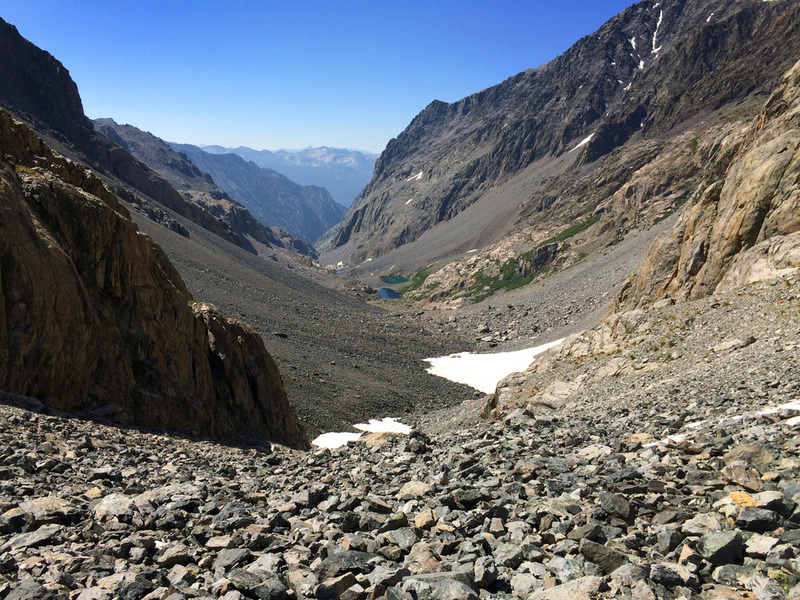 Mather Pass was named for Stephen Tyng Mather (1867 - 1930), the first director of the National Park Service, 1917 - 1929. Mather was a reporter for the New York Sun and went to work for the Pacific Coast Borax Company in 1893. He was largely responsible for marketing packaged borax under the "Twenty-Mule Team Borax" trade name. 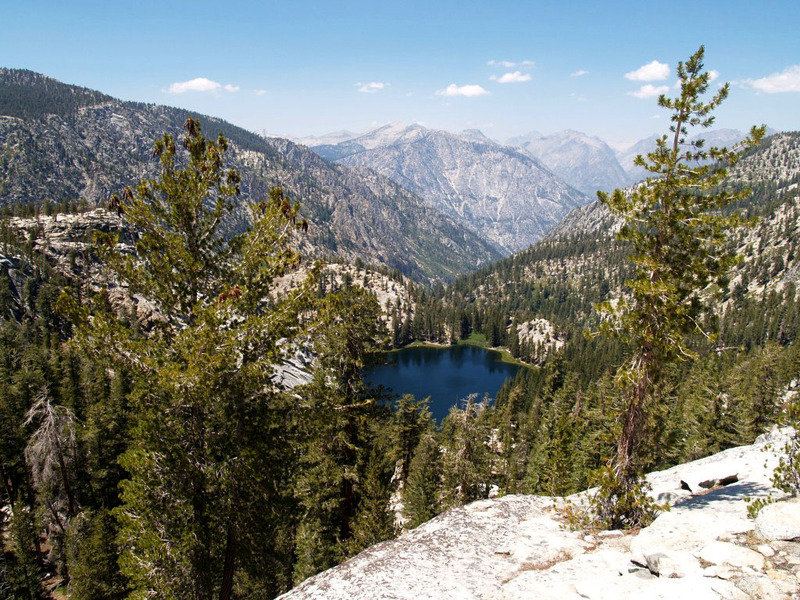 In 1903 he formed an independent borax company which made him wealthy enough to purchase privately owned lands within Sequoia National Park. 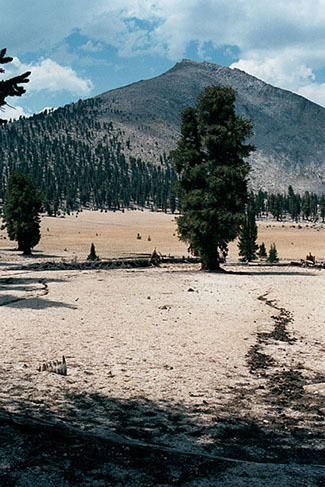 He purchase the Tioga Road in 1915 and donated it to the government. The Lake of the Fallen Moon was named by Frank Ernest Hill in 1921 in one of his romantic poems. Thunder and Lightning Lake was probably named by Halliday, a South Fork packer, who got caught in a storm while planting fish in the lake during the 1920s. 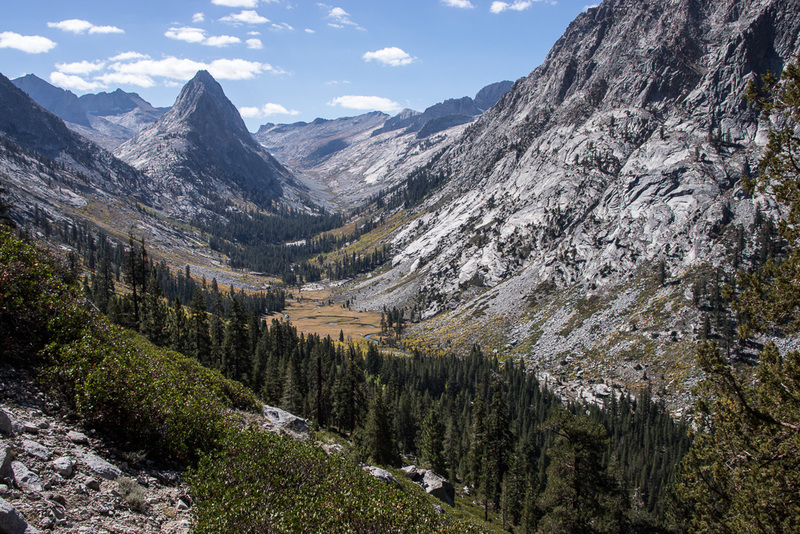 Cloud Canyon and Cloud Creek were named after William B. Wallace's mine which bears the same name, The Cloud Mine, in 1924. 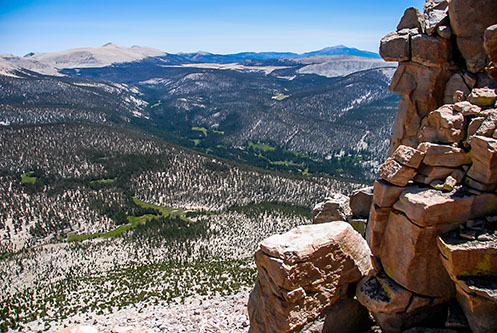 William often referred to his mine as being "up in the clouds." For a while, on some pre 1924 maps, Cloud Canyon was mistakenly name Deadman Canyon which actually was a few miles to the west. 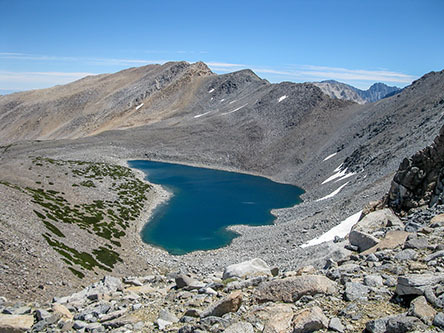 Ouzel Creek was named in 1924 by David Starr Jordan for the brook which flows from Mount Brewer into East Lake. The water-ouzel abounds here, and it is said that John Muir's account of the water-ouzel, one of the finest bird biographies ever written, was based largely on observations made on this very stream. Jordan apparently went wild naming everything ouzel - Ouzel Basin, Ouzel Pool, Ouzel Camp etc. Fortunately it only stuck in Jordan's personal sketch map. 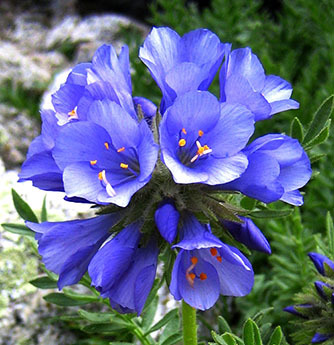 Polemonium Peak is named after the Sky Pilot (Polemonium eximium) flower. 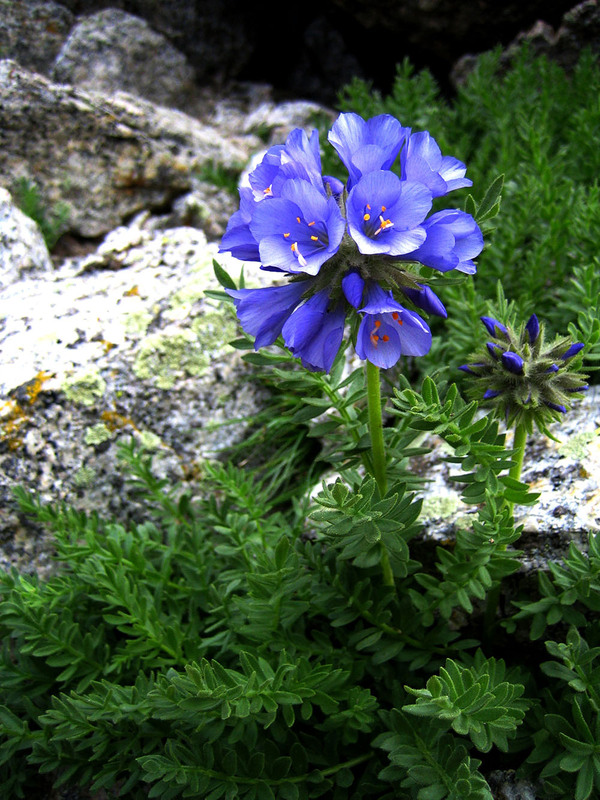 This flower typically grows only at altitudes above 12,000 feet on rocky ledges and slopes. 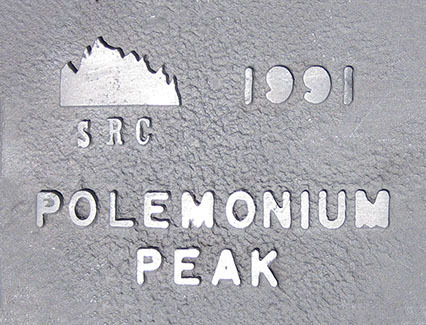 Polemonium Peak is part of the North Palisade complex of peaks. 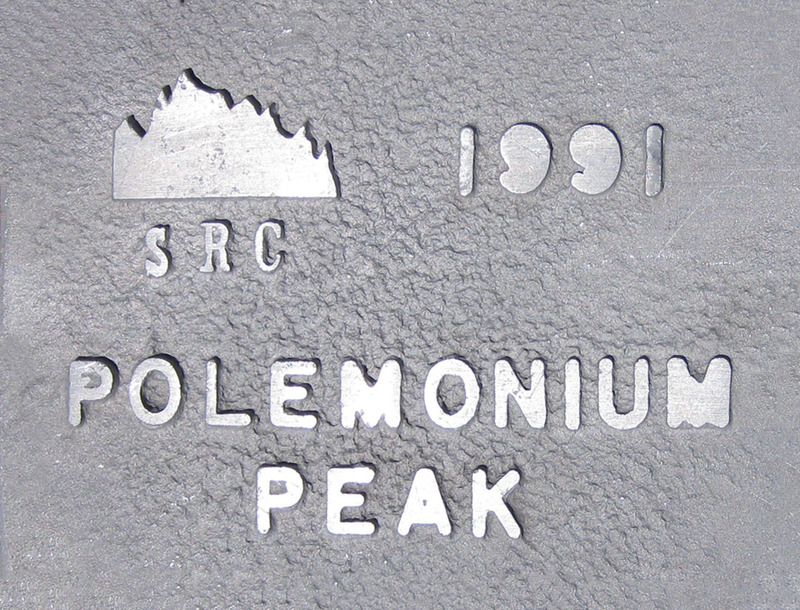 The picture below shows Polemonium Peak nestled between Mt. Sill and North Palisade. 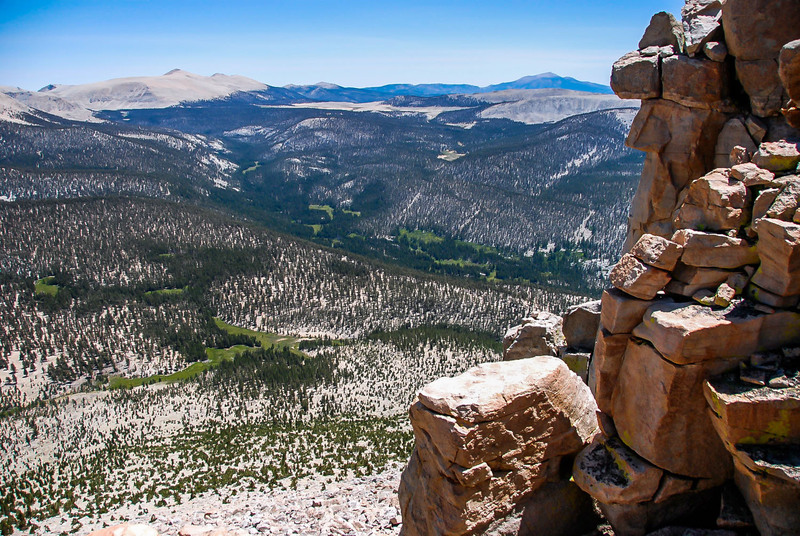 Mount Guyot, Guyot Summit/Pass and Guyot Flat were named by Captain J.W.A. Wright in 1881 in honor of the Swiss geologist and geographer, Arnold Henri Guyot, whose lectures for two years at Princeton, New Jersey, are among the pleasantest recollections of his college days. Arnold was born in Switzerland and came to America in 1848 where he taught physical geography and geology at Princeton for nearly 30 years. 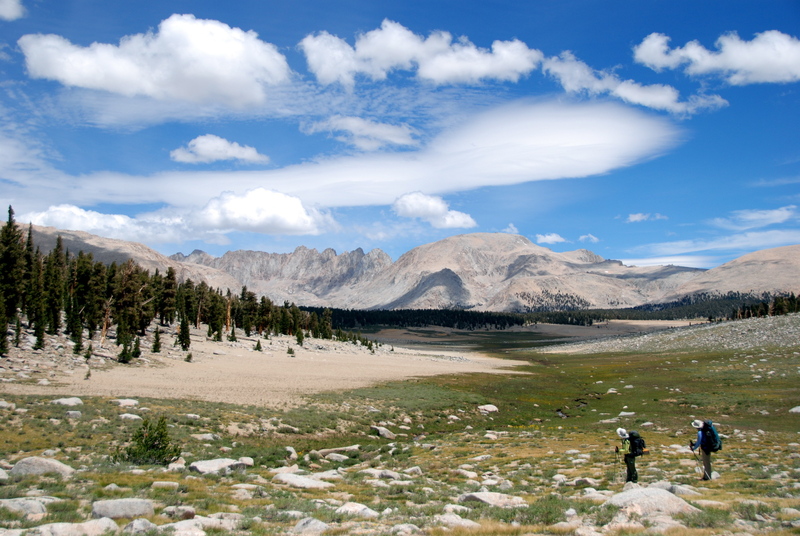 Background peaks, L/R: Mt. Kaweah, Red Spurt, Mt.Guyot - View looking west across the Siberian Outpost. 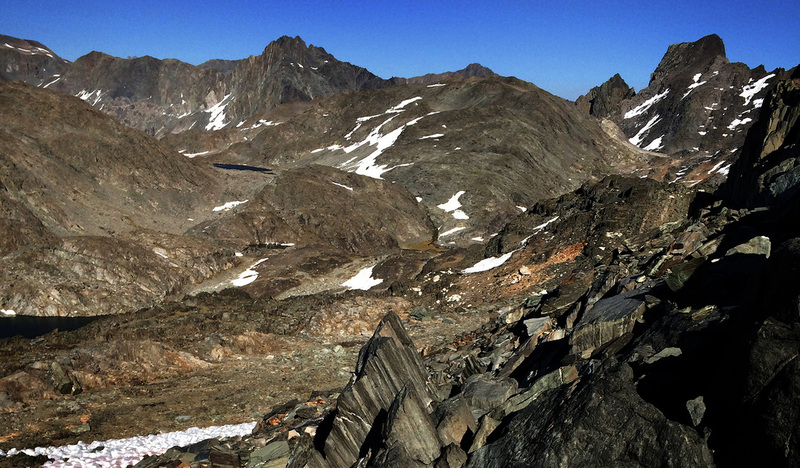 Mount Guyot and Guyot Flat. Mount Guyot from lower Rock Creek. Mt. Guyot. Mt. 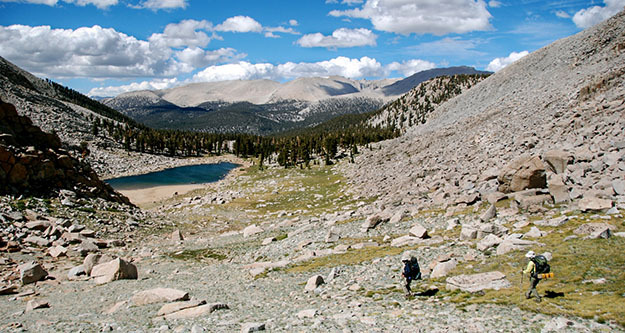 Langley is off in the left horizon and Olancha Peak to the right. Waterwheel Falls, formerly Le Conte Falls and sometimes called California Falls, was originally named in 1895 by R. M. Price and derives its name from a set of cascades called the "Rocket Cascades." 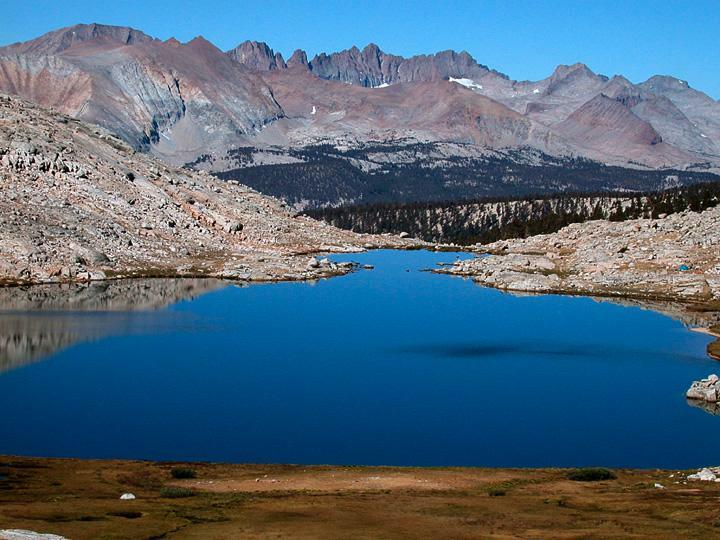 Here the water strikes the edges of the great plates of granite and is spun off continually in great arches. The columns, or waterwheels, of water rise fifteen to 20 feet high. Guitar Lake is said to have been named for its shape by Clarence King in the 1870s. This name, Enchanted Gorge, was given in July 1895 by Theodore S. Solomons to the gorge on Disappearing Creek, with its head between Scylla and Charybdis. The Enchanted Gorge was so named because of the many remarkable features it possesses, and the weirdness of its scenery. Golden Trout Creek and the South Fork of the Kern River come within a few hundred feet of each other near a trail junction north of the guard station. 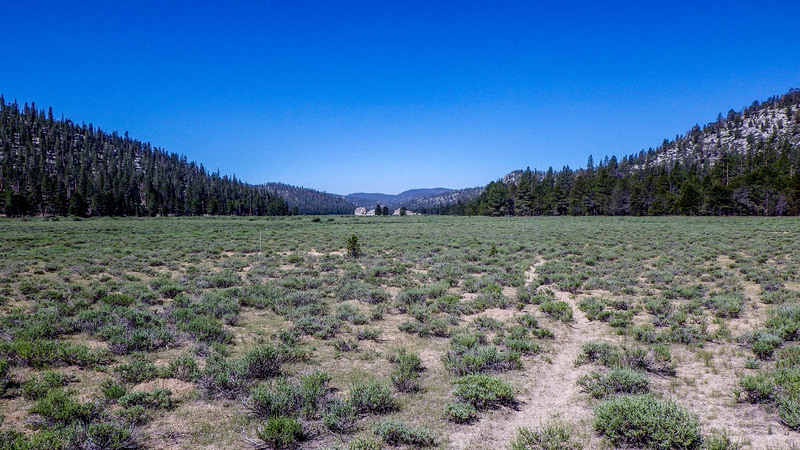 About 1883 or 1884 some enterprising South Fork ranchers dug a diversion tunnel to take water from the creek to irrigate the meadows lower down the river. The tunnel was plagued by cave-ins, and was converted into an open cut about 1891. That too had a cave-in problem, and the project was abandoned about 1899. 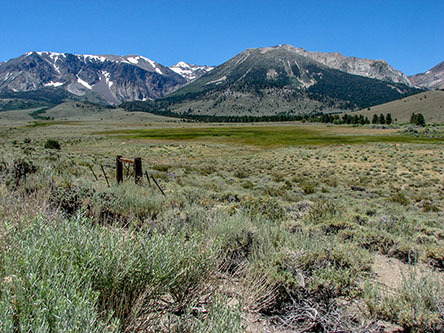 Tunnel Meadow, Tunnel Air Camp (formerly owned and operated by Bob White out of Lone Pine, and Tunnel Guard Station all garnish their name from those 1800s ranchers. J. N. LeConte crossed Siberian Pass in 1890, before it was named. "The summit (Siberian Outpost) was an immense flat area covered with loose slabs of granite piled on top of one another in sharp pinnacles. Many dead pines stood around. Still more lay prostrate, all barkless, limbless, and bleached by the winds and snow, but not a living tree in sight." 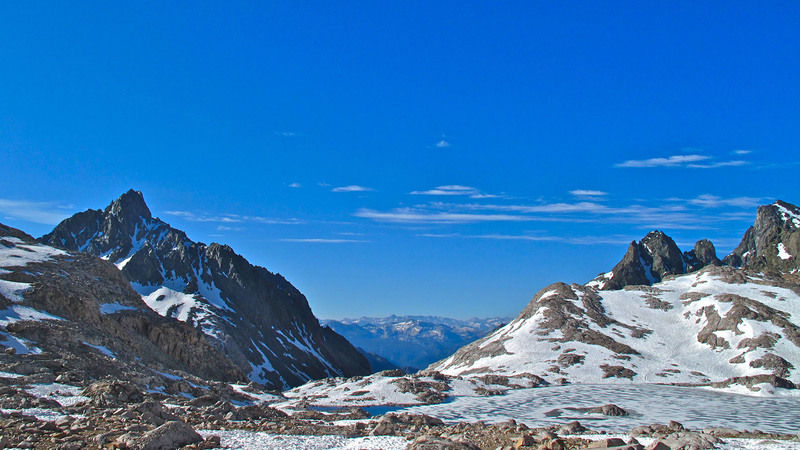 The name "Siberian Outpost" was given in 1895 by Harvey Corbett, for the area's bleak appearance. So named because it is out of the way and "forgotten" by most backpackers. 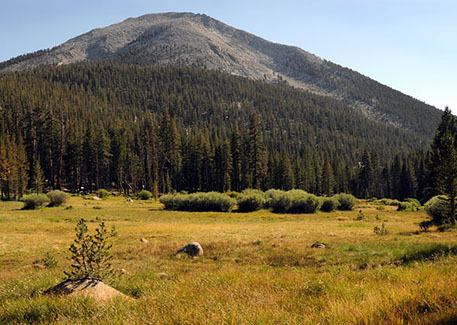 It is located in the lower Rock Creek drainage between Funston Lake and Mt. Guyot.